I came to America over 10 years ago now. Since my bachelor’s degree is in sculpting and I love to make small things, I started to make jewelry many years ago and still do it and still love it! 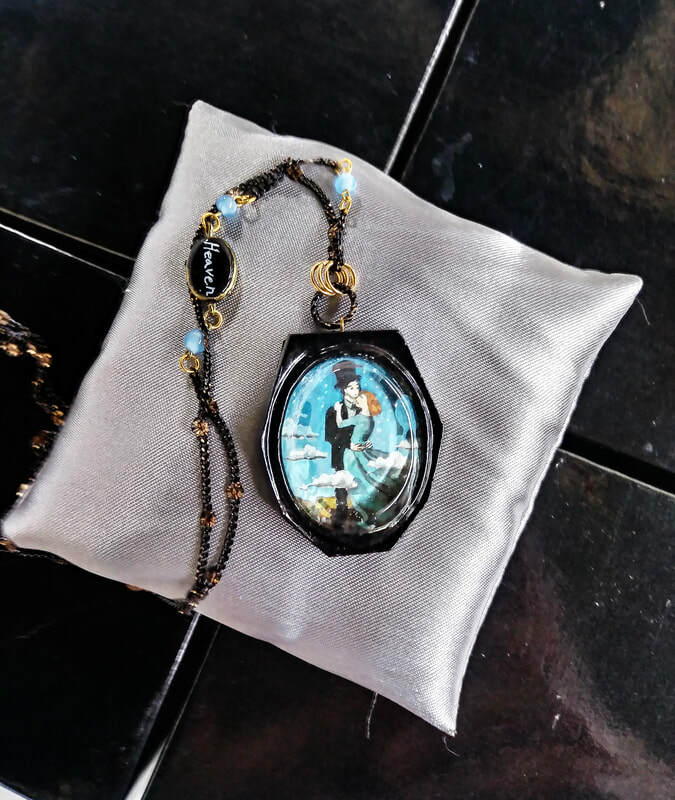 Aelphie is one-of-a-kind handmade jewelry. Hand-painted beadwork and embroidered items are created by Jiyoung Moore (yes, that is me). I am getting ideas from classic paintings, vintage stuff, and whatever makes me want to create. Sometimes people send me their family pictures or their favorite things to make their own special customized jewelry. Aelphie is all about having fun to create things and seeing customers’ happy faces with my jewelry.